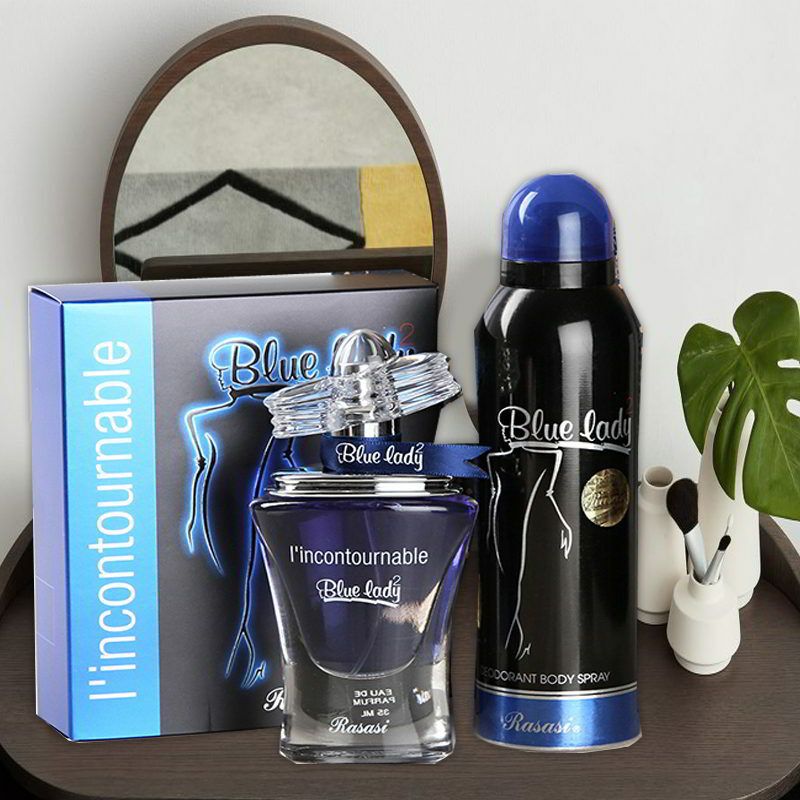 Product Consist: Rasasi Blue Lady gift set for women (Eau De Perfume 35ml along with Deodorant Spray 200ml). To the woman who is dear to you, send a hamper full of smiles and happiness. She will definitely love to receive the delightful hamper comprising of Rasasi Blue Lady gift set for women. The gift set contains one perfume along with a Deo Spray. The fragrance is undoubtedly charming and pleasing. So have this hamper ordered for the one you want to gift a smile to. It will work wonders on any occasion as a gift. Product Details: Rasasi Blue Lady gift set for women (Eau De Perfume 35ml, Deodorant Spray 200ml).